My Portfolio was built with the gift officer in mind. It provides a visual representation of prospects by stage and geographic location for both the web and mobile versions of EverTrue. As a gift officer, My Portfolio will have been enabled by the administrator of your EverTrue account. A bit of setup is required on their end for you to see all of your prospects in their respective stages. Only portfolios of gift officers using EverTrue will appear. Contact that account admin if you have any questions about your portfolio. 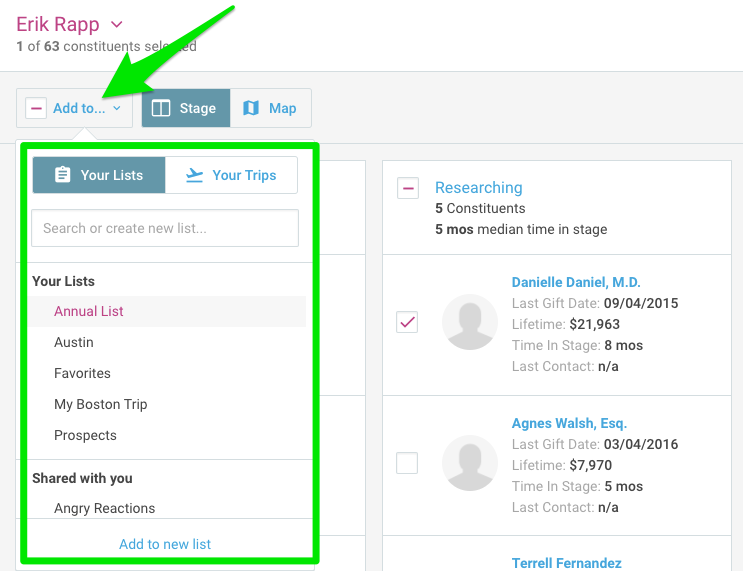 *If questions arise about the prospects or their stages in your portfolio, contact your EverTrue data administrator. If your institution has chosen to allow assignment and moves management within EverTrue, status changes can be made directly in EverTrue. More on that coming soon! From within their portfolio, the user can sort their prospects, view their portfolio on a map, or select individual constituents and view their full profile or add them to a list or trip. More on each functionality below! 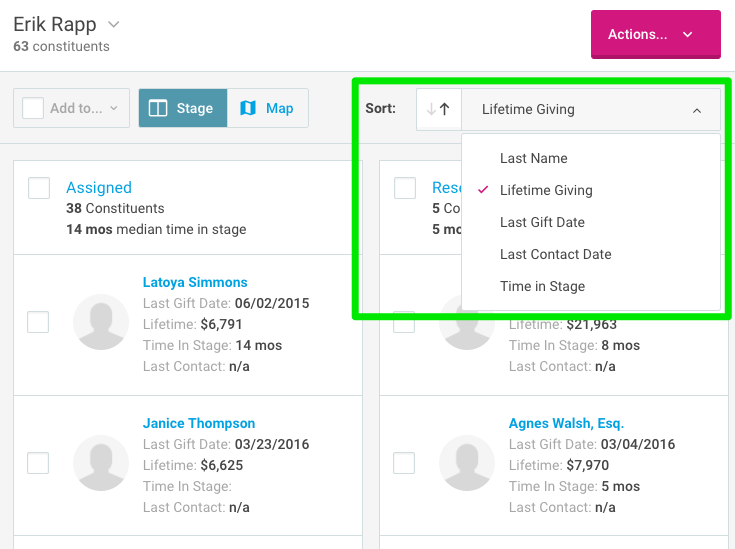 Within their portfolio, a user can sort their prospects by Lifetime Giving (default sort in ascending order), Last Name, Last Gift Date, Last Contact Date, and Time-In-Stage. Sorting can be in descending or ascending order. Use Case: When viewing their portfolio to see which prospects have gone the longest without contact, a gift officer might want to be able to sort on last contact date so they can see all of the prospects in each stage and make note of who should get priority in their outreach. 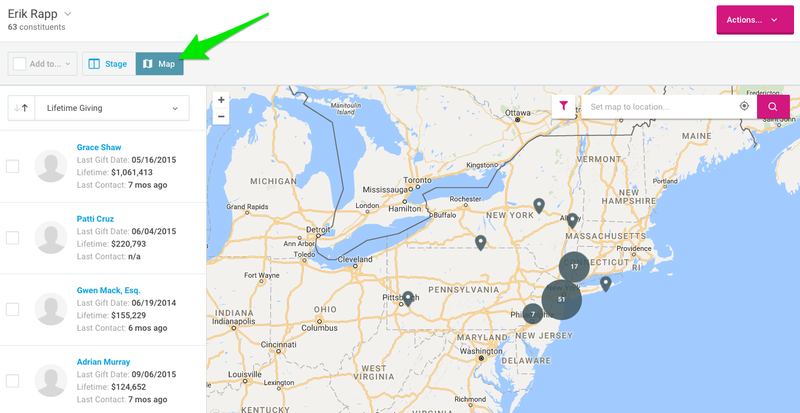 Additionally, the user can toggle to the Map view where they can see their prospects distributed on a map by Primary Address location with the option to filter by other address types. To do so, click the filter icon next to the location search bar in the upper right of the map. Use Case: When looking for places to take your next trip, view your portfolio by location and find the most efficient place to maximize your time with prospects in your current portfolio. 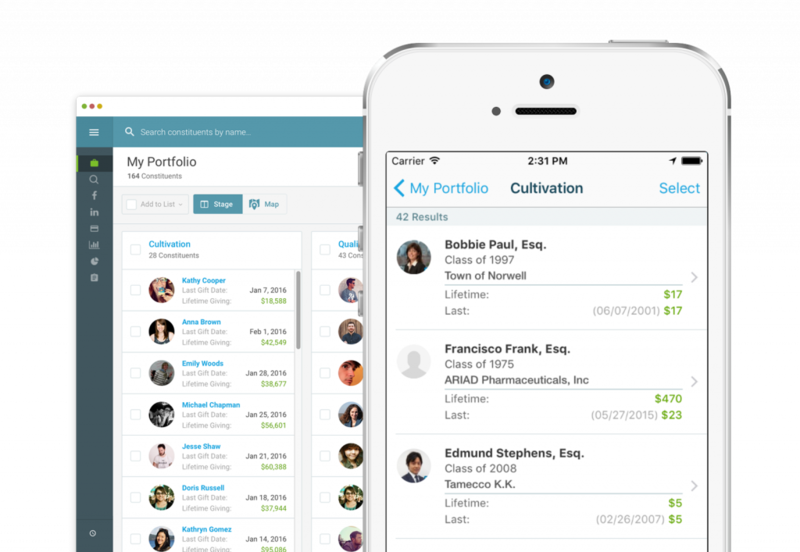 With the My Portfolio feature, you'll not only be able to view your portfolio but also the portfolios of other EverTrue Users in your institution. 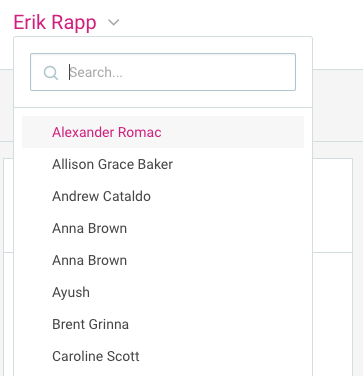 A drop-down menu will appear where you can select any user who has an associated portfolio in EverTrue. Want a quick fix? In My Portfolio, click on the title of any Prospect Stage and you will be directed to a base search where the solicitor is set to you and the stage is the one you clicked!